Just when I thought I could take a break from writing about Kim Kardashian, Kanye West chooses to propose to her–thus thwarting my attempt to not think about Kim Kardashin for an extended period of time. 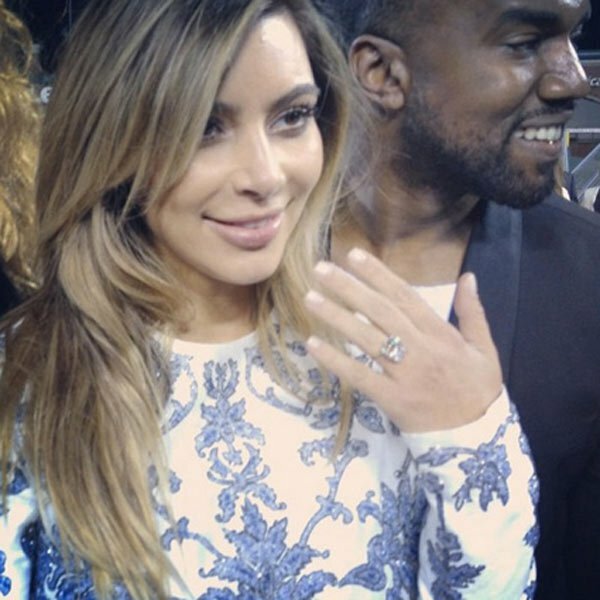 In what will be her third marriage, Kim Kardashian is engaged to singer and self-proclaimed genius, Kanye West. 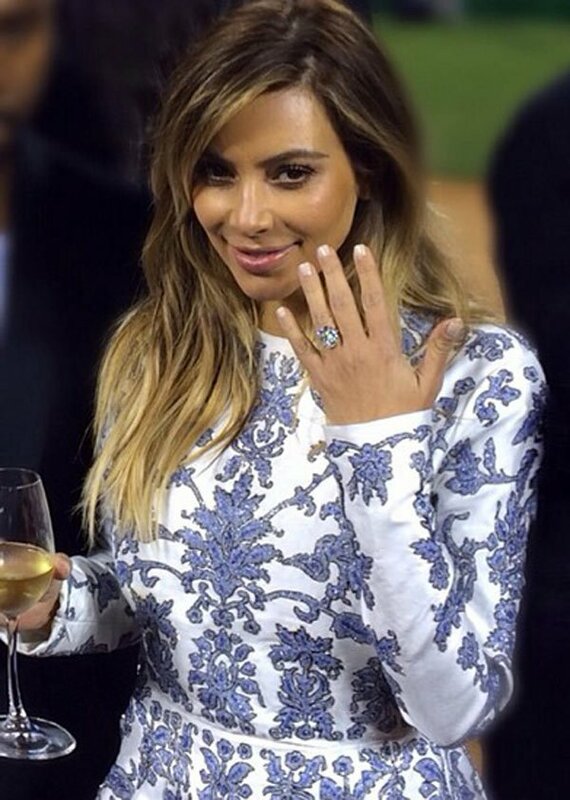 West, 36, proposed to Kardashian on Monday October 21st on Kardashian’s 33rd birthday. He rented out AT&T Park in San Francisco and hired a full orchestra to pull off the marriage proposal. The band played a multitude of songs, including “Young and Beautiful” by Lana Del Rey. West got down on one knee as the field’s jumbotron read: “PLEEEASE MARRY MEEE!! !” The evening was topped off by a display of fireworks. Friends and family of the couple were in attendance, including the Kardashian gang. West proposed with a 15-carat diamond engagement ring, which was designed by Lorraine Schwartz. Coincidentally, Lorraine Schwartz designed Kardashian’s last engagement ring, which was recently auctioned by ex-husband Kris Humphries. No news yet on the wedding plans, but with Kimye doing the planning, we can only speculate that it will be a lavish and very unique affair.